Next week's weather pattern will return to a scenario with the potential for dangerous severe thunderstorms capable of producing strong winds, large hail and possibly tornadoes. A strong jet stream is dipping south in the middle of the country, and it's running into some warm, humid air — just a couple of ingredients necessary for some nasty weather. The first round of this rough weather will arrive as early as Sunday when a low pressure system moves across the Plains. 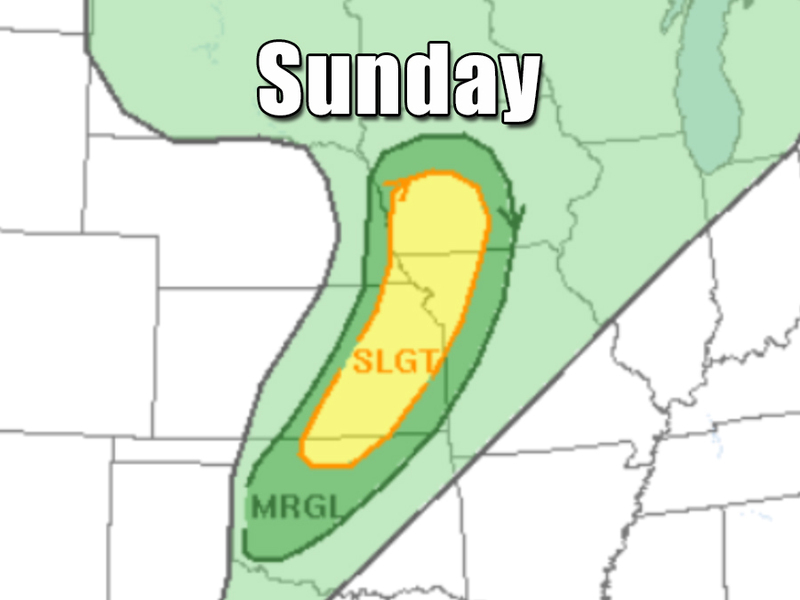 The severe weather threat is most likely along a boundary from southwest Iowa down to north-central Oklahoma. This, however, is looking more like a warning shot. 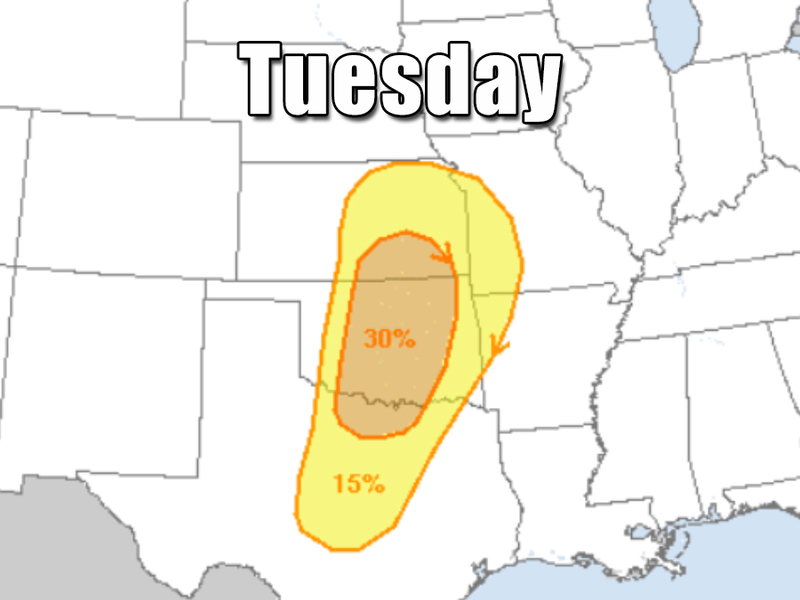 The best chance for severe storms will arrive a couple days later on Tuesday. Tornadoes, large hail and damaging wind are all likely across a good portion of Oklahoma as well as eastern Kansas and north-central Texas. 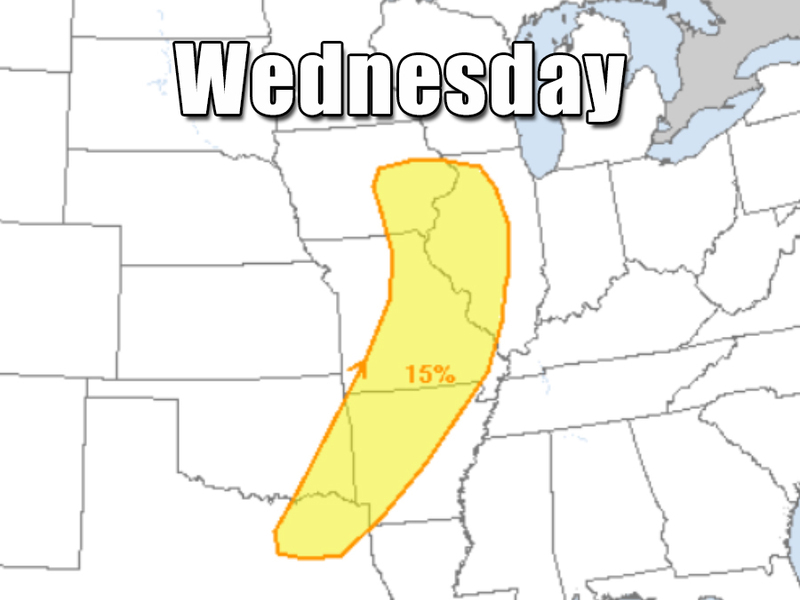 While Tuesday will likely be the worst weather day next week, the severe weather threat only moves east by Wednesday, invading parts of the Midwest. In the middle of the week, severe weather will be most likely in an area stretching from western Illinois back to northeast Texas. With next week being such a bumpy ride for the middle of the country, now is a good time to download the Storm Shield App for iPhone or Android , so you get severe thunderstorm and tornado warnings as soon as they're issued. That, and you should know the difference between a watch and a warning.